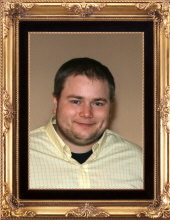 Nicholas R. Magrum, 33, of Toledo and formerly of Luckey, passed away unexpectedly, Saturday, February 2, 2019 at his residence. He was born on November 22, 1985 in Oregon, OH to Daniel and Laura (Freeman) Magrum. With his world-class smile and witty catchphrases, Nick had a unique way of making everyone feel special. While he was employed by many organizations, his true passions were cooking and caring for animals. Watching movies and listening to music were two of his favorite pastimes. He also enjoyed attending Cedar Creek Church. Nicholas is survived by his mother and father: Dan and Laurie Magrum of Luckey, brothers: David (Shonagh Russell) Magrum of FL, Eric (Jessica Clendenning) Magrum of GA, grandmothers: Janet Magrum of Fremont and Carol Freeman of Pemberville, girlfriend: Erica Ickes of Toledo, in addition to many loving aunts, uncles, and cousins. He was preceded in death by his grandfathers: Raymond Magrum, Wayne Freeman, and best little buddy: Kaleb Swartz. Family and friends will be received from 2-7 p.m., Friday, February 8, 2019 at the Marsh & Marsteller Funeral Home, 4094 State Route 105, Pemberville, OH. A memorial service will begin at 7 p.m., with Jim Casey, officiating. In lieu of flowers, the family requests memorial contributions be directed to Dan Magrum. Funds will benefit local drug rehabilitation and animal shelters in Nick’s Memory. Nick would be pleased to know his passing will benefit a greater cause. A quote from his favorite movie, The Shawshank Redemption, personifies this best, “Hope is a good thing, maybe the best of things, and no good thing ever dies.” Those wishing to express a word of encouragement, share a memory or photo may do so at www.marshfuneralhomes.com. To send flowers or a remembrance gift to the family of Nicholas R. Magrum, please visit our Tribute Store. In lieu of flowers, the family requests memorial contributions be directed to Dan Magrum. Funds will benefit local drug rehabilitation and animal shelters in Nick’s Memory. "Email Address" would like to share the life celebration of Nicholas R. Magrum. Click on the "link" to go to share a favorite memory or leave a condolence message for the family.